New Orleans Police detectives say 20- year-old Derrion Robinson was involved in an argument or physical fight with several other people moments before shots were fire. 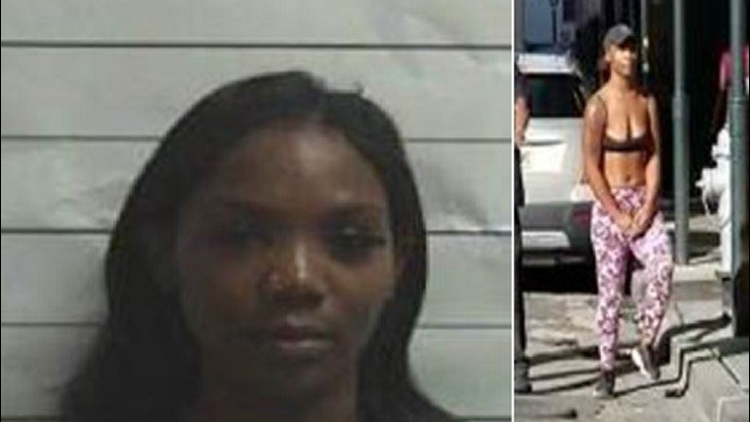 NEW ORLEANS – Investigators have identified a second suspect in a shooting on a busy area of Canal Street that left two women wounded. New Orleans Police detectives say 20-year-old Derrion Robinson was involved in an argument or physical fight with several other people moments before shots were fired in the 600 block of Canal Street. The incident left two women hurt, but police said their injuries were not life-threatening. During the fight, police say Robinson told another person involved to open fire. Robinson is wanted for one count of aggravated battery by shooting. New Orleans Police are still searching for the gunman and a person of interest in the shooting. Police are looking for 20-year-old Jerry Harris as a person of interest in the investigation. According to police, Harris was reportedly involved in the fight and was also seen fleeing in the same direction as the gunman. Police say Harris is not a wanted suspect at this time, however he is a person of interest. Anyone with information about the whereabouts of Derrion Robinson or other suspects is asked to contact NOPD eighth district detectives at 504-658-6080. Residents can also report information to Crimestoppers at 504-822-1111.